During your trip to Mussoorie, you have a wonderful opportunity to explore some worth-exploring in and around places Mussoorie & Uttarakhand / Uttaranchal. Dehradun, Rishikesh and Haridwar are famous getaways from Mussoorie in the state of Uttarakhand. Situated at an altitude of 2200 feet above sea level, Dehradun is the capital of Uttarancha / Uttarakhandl. It is one of the most developed city of India having moderate climate. Situated 35 km from Mussoorie, Dehradun is a charming place nestled amidst thickly forested valleys, more famous for its tourist attractions and educational institutes. The place served as an important getaway for the British during the raj era and presently serves as the base of the IMA (Indian Military Academy). Tourist attractions in Dehradun include Sahastradhara, Dak Pathar, Forest Research Institute, Rajaji National Park, Robbers Cave and Tapkeshwar Temple, Lakshman Sidh, Malsi Deer Park etc..
Haridwar or the gates of heaven is a holy Hindu pilgrimage and a dip here in the holy waters of river Ganges is believed to lead one to salvation. Major attractions at Haridwar include Har ki Pauri, Chandi Devi temple, Mansa Devi temple, Sati Kund, Bhimgoda Tank and Piran Kaliar. 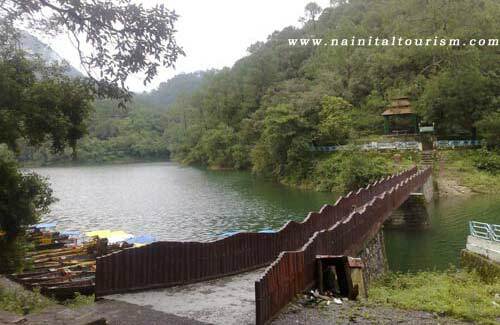 Nainital : Nainital is one of the most charismatic hill stations that India harbors. NAINITAL TOURISM :- The Lake District of India - Nainital boasts of Nine different lakes, shares its boundary with one of the most visited National Parks ( Corbett National Park ) in the country and obviously is part of the Mighty Glittering Himalayan Range. 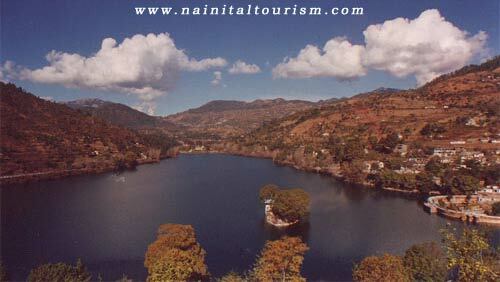 "Nainital" is a glittering jewel in the Himalyan necklace, blessed with scenic natural spledour & varied natural resources. Dotted with lakes (Naini Lake, Bhimtal, Naukuchiatal, Khurpatal, Sattal), Nainital has earned the epithet of 'Lake District' of India'. The most prominent of the lakes is Naini lake ringed by hills. Nainital is a lovely hill station surrounded by mountains on three sides. Nainital's unending expense of scenic beauty is nothing short of a romance with awe-inspiring and pristine Mother nature. Known for its salubrious climate and scenic beauty. Naina Devi Temple, Naini Lake and Snow View Trek are main attractions. Situated at an altitude of 1,219 m, Naukuchiatal is picturesque & mystique lake with 9 corners or or the 'nine-cornered lake'. Surrounded by dense forested hills on all sides it provides solace from the maddening rush of the plains. Naukuchiatal is nourished by an underwater spring, which keeps its water levels high. It is the deepest lake in the Lake District of India (Nainital) and lost in acres of oak forest in the lesser Himalayas. It attracts migratory birds, which makes it a bird watchers paradise. Lakes, fishing, trek, Paraglading and mountain biking are major attractions. Literally meaning seven lakes all the group of small lakes nested together, about 23 kms from Nainital at an altitude of (1370 MT) still untouched by modernisation - one can see the natures beauty at its best. Sattal is one of the few unspoiled and unpolluted freshwater biomes in India. These lakes are a paradise for migratory birds. Ranikhet beauty lies in its simplicity - beautiful pine trees create a nostalgic feeling. The orchards, the temples, the joy grounds will back on you again and again to its fold. Ranikhet in the Kumaon hills is a haven of tranquilly with its meadows, pine and cedar forests and enchanting views of the snow capped Himalayas. Ranikhet is famous for Wildlife sanctuaries and golf course. It is located on a ridge at the southern edge of the Kumaon Hills of the Himalaya range. In the shape of a horse saddle shaped hillock, it is surrounded by thick forests of pine and fir trees. Flowing alongside the city are rivers of Koshi, (Kaushiki), and Suyal (Salmale). The snow capped Himalayas can be seen in the background. The eastern portion of the ridge is known as Talifat and the western one is known as Selifat. Corbett National Park is just 60 km away from Nainital situated in Ramnagar in the District of Nainital, Uttarakhand with an area of 521 km2. Aptly called the land of roar, trumpet and songs. (120 km) away set on the banks of the mighty Ram Ganga river is Dhikala - the main tourist attraction in the world famous and India's first national Park - Jim Corbett. One can sit in solitude for hours admiring the nature and the river or can go for jeep Safari or Elephant ride for a life thrilling encounter with the Lord of the Jungle - Tiger.The 525 sq.km. of forests and more than 500 species of animals, birds fishes and reptibs provides a range of adventure to all -from a child to a man with his adrenaline pumping. Jim Corbett National Park is one of the most visited National Parks in Asia. Jim Corbett National Park is the perfect habitat of tiger, elephant, hog deer, birds and other wildlife species rapidly vanishing from the earth. Binsar is situated at an altitude of 2,480 mis a beautiful, quiet and wild Himalayan destination with rich natural surroundings among dense forest. Binsar is perched on top of the Jhandi Dhar hills. This place is situated 33 km north of the Almora town in the Uttarakhand state of India. From Binsar one can see the 300 km panoramic view of the Himalayan peaks like Kedarnath Peak, Shivling, Trisul and majestic Nanda Devi from a place called 'Zero Point'. Kainchi temple is situated very close to Bhowali. 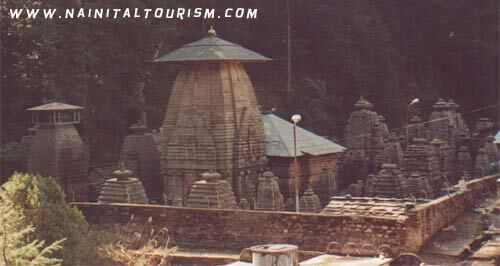 Located on Almora-Ranikhet Road, the Kainchi Temple is a tourist attraction. It is situated at an altitude of 2286m, and is known for its quiet environs amidst the alpine forests of Deodar, Rhododendron and Oak. Dhanaulti is a dreamy, misty mountain retreat In the Garhwal Hills. This is the perfect honeymoon hideaway. There are a number of places around Uttaranchal which are significant from cultural and religious point of view. Bharatpur IS largely known for the Bird Sanctuary but the city also hosts a beautiful fort. Places to see at Bharatpur are Ghana National Park, Lohagarh and Golbagh Palace.